Positively challenging gender-division of labour assumptions in Somalia: the benefits of being a professional woman working in a male-dominant environment. Whilst restrictive gender-based division of labour assumptions remain a problem throughout the world, SafeLane Global (SafeLane) chooses to publicly address the challenge and to lead by positive example towards the elimination of discrimination in respect of employment and occupation. As a commercial company with a successful 30-year history, key to ensuring its clients’ satisfaction is the positive delivery of every project. A major consideration is the recruitment of the most qualified person for each specific role. Consequently, SafeLane’s HR department maintains a personnel database of almost 2,500 qualified professionals – all ready to deploy upon request. These professionals are not identified by gender, they are managed based on their qualifications and experience. When a vacancy arises that matches an individual’s skill-set, they are offered a role and recruited on universally standard, gender-neutral contractual agreements. 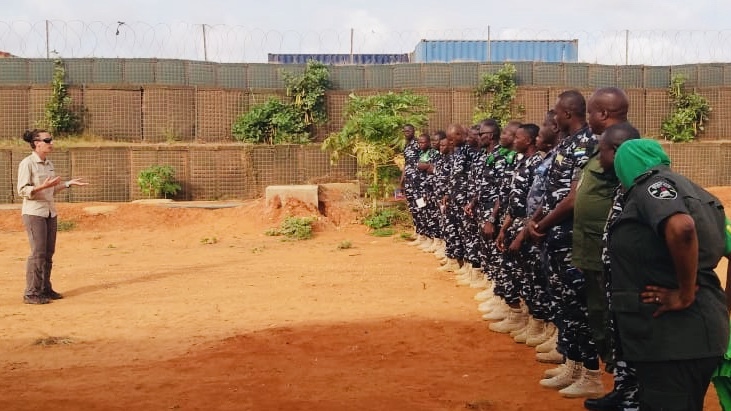 A practical example highlighting how SafeLane positively challenges gender-division of labour assumptions comes in the form of Sheree Ali, an EOD and search mentor working in Somalia. 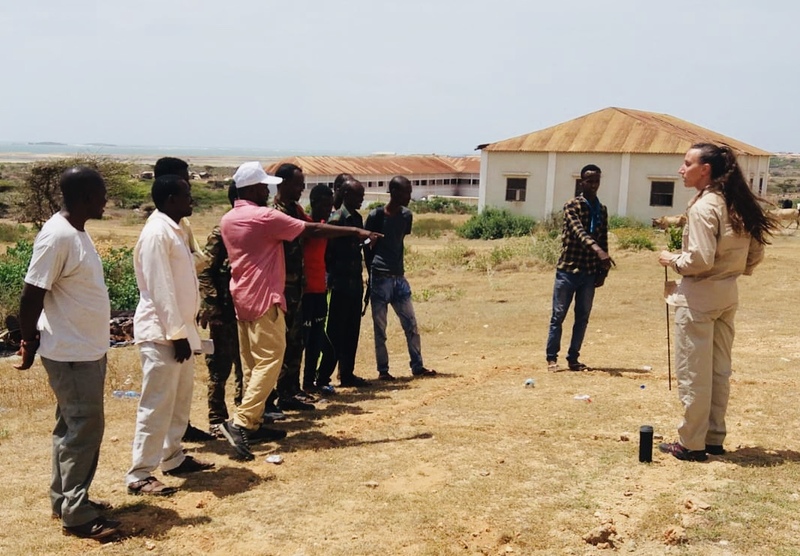 Sheree is working to train and support troops in the Kismayo region; she was recruited by SafeLane because of her professional background and relevant experience. Whilst gender-specific welfare considerations were made in relation to her accommodation requirements, no further consideration of her gender was relevant or appropriate. We caught up with Sheree between rotations to gather her invaluable insight into why the best way to change restrictive opinions is to actively and positively challenge them. How did you become an EOD and search mentor? What’s your professional background? When I joined the British Army in 2009, I knew I wanted to work in EOD and Search because I felt I could make the most positive and tangible difference there. To train in EOD however, I had to join the Corps of Royal Engineers. Of all the Army’s regiments, the Royal Engineers is almost exclusively a male domain – purely because of the level of physical strength required to lift bridge panels about! I was the only woman on most of my career courses and the general opinion among my male colleagues was I’d be a handbrake because I’d never be able to physically pull my weight. I’ve always been competitive and sporty, as an example, I boxed in the Army, therefore the physical challenge was fun. After I proved myself more than equal in terms of fitness and trying to beat as many of the guys as I could on fitness tests (particularly running) I became part of the team. Gender wasn’t a question that ever raised its head again with regard to physical fitness and strength. This has always been my experience; challenge limiting opinions through positive action, and at the very least acceptance – if not change – follows. Why did you choose to work for SafeLane in Somalia? When I was offered the role, I jumped at the chance. It is exactly what I trained for. I am working every day to ensure troops are trained properly, work safely and are capable of protecting their own people and communities. I’m one of only a handful of women on camp, but that’s never been a problem. Are the troops you train surprised when you turn up to train them? Much to my male colleagues’ amusement, my trainees are far more receptive and engaged when I’m working with them. I introduce myself by my former Army rank, I detail my extensive professional background, list my qualifications, the tours I’ve done – and drop in that I boxed for the Army! Most of the guys never even knew women could fulfil such a role, have EOD qualifications and be so widely experienced. So, I challenge every preconception they have in a purely positive way…and that’s how I earn significant respect from them. They listen to me, because I demonstrate I know what I’m talking about. I never struggle to maintain their focus and attention. Being a woman is actually hugely beneficial therefore. Have you ever felt vulnerable or threatened because of gender-related issues? No, but I have faced down disrespectful treatment. When I was working in Iraq, I was provided with a translator who didn’t respect my position of authority in the classroom. Translators stand beside or behind trainers traditionally; this one chose to stand in front of me and block me from the classroom because he did not respect my rank, my professional training and my experience – because I was a woman. He’s the only person I’ve ever had an issue with; but I handled it! It would be naïve to pretend the fact you’re a woman goes entirely unnoticed in Somalia! What challenges do you face? I tend to face the same question repeatedly. The guys on camp and my trainees want to know why I’m not married and at home having babies! It’s a global stereotype – I’m just happy to demonstrate women are equal to and can have as many choices as men. Other than that, I guess I have a heightened sense of awareness and know how to keep safe. I make sure I keep my colleagues in sight. I do get more attention, but my personality helps. I’m mentally and physically strong, I’m aware of the country I’m in, of traditions, typical gender roles and how to behave respectfully. Therefore, the attention I get isn’t negative – it’s more borne out of curiosity. My personal experience is that leading by example and being a positive role model is the easiest way to change people’s restrictive opinions. If you push you experience resistance – if you lead, people follow. And I’d give that advice to women or men!